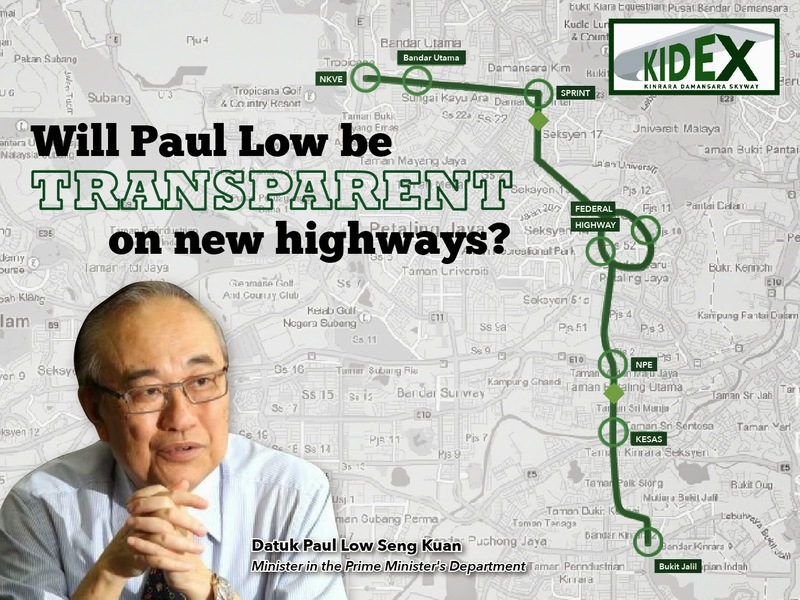 Yeo Bee Yin 杨美盈: Will Paul Low be Transparent on New Highways? KIDEX is a 14.9km elevated highway project that is worth RM2.42 billion. 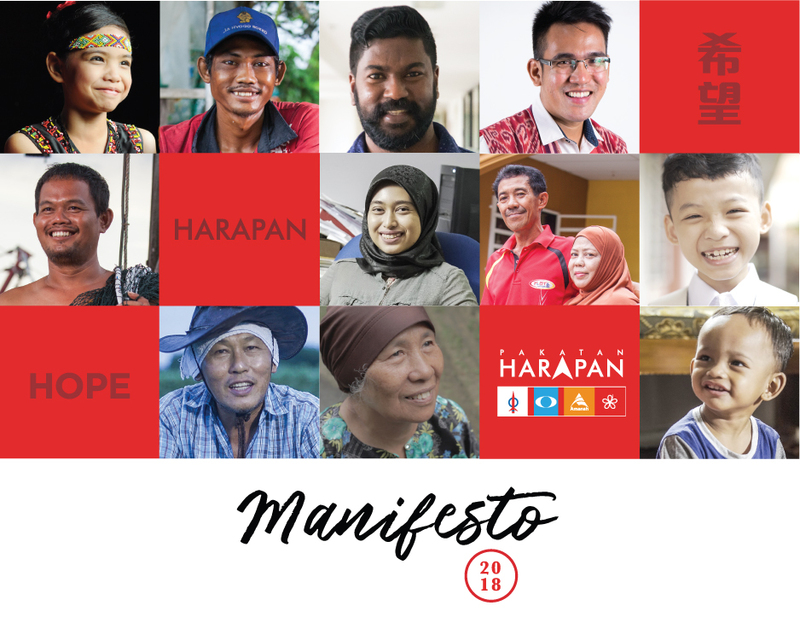 The contract was awarded to Emrail Sdn Bhd and Zabima Engineering Sdn Bhd, which are linked to UMNO lawyer Datuk Hafarizam Harun and the wife of former Chief Justice Tun Zaki Azmi. While it is debatable whether the contract is a ‘political reward’, there’s one thing we know – we have yet to see the concession agreement. How long will the concession be? How much is the toll rate? On what basis will the toll rate is to be computed? We do welcome more highways that connect north and south of Klang Valley. Currently, there are 5 highways that serve the Klang Valley with an east-west alignment, which are SPRINT, Federal Highway, NPE, KESAS and the Bukit Jalil Highway; but only one highway with a north-south alignment, which is Lebuhraya Damansara Puchong (LDP). The aim of KIDEX is to help to alleviate traffic congestion on the LDP, which is good. Nevertheless, will it become another LDP that rob people for obscene profit for the concessionaire in the name of infrastructure? The total capital cost of construction of the LDP highway is estimated at RM1.3 billion while the projected profit after tax over the 30-year concession period will be RM18.9 billion, which is 14 times the capital investment. Giving the Barisan Nasional government the benefits of doubt, we do not know whether KIDEX is another highway robbery until we see the concession agreement. 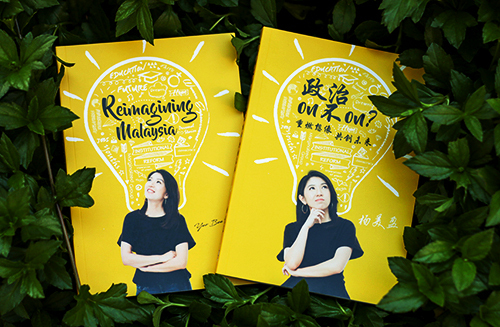 Since assuming his role as the ‘transparency minister’ in the Prime Minister office, Datuk Paul Low has been singing the tune of transparency and accountability. He stressed the necessity of access of information and questioned the rationale of putting the highway concession under Official Secrets Act (OSA). He also denied the label as a lame duck ‘transparency minister’. Therefore, we believe that Datuk Paul Low should push for disclosure of concession agreements of all the highways to be built in his tenure. And we suggest that he start with KIDEX concession agreement. This is definitely a golden opportunity for him to prove that he is after all not a lame duck ‘transparency minister’.